With spring at our doorstep, we’re all looking forward to being outside more often, especially with our four-legged friends who love the warmer weather as much as we do! 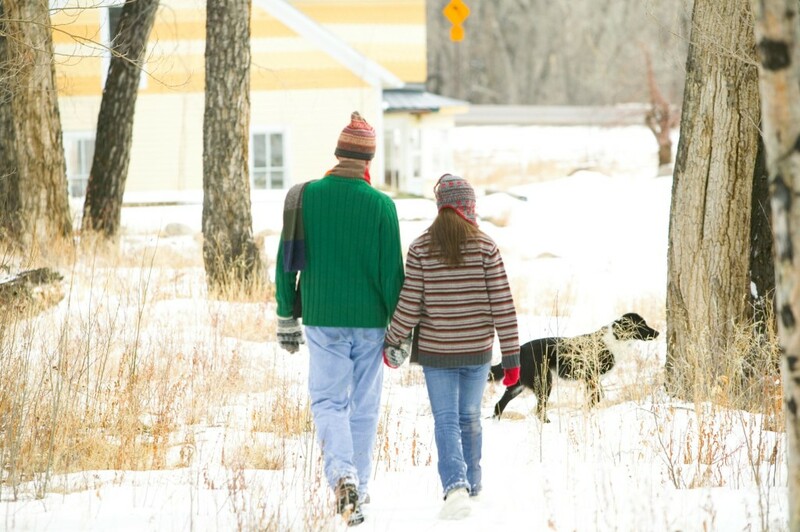 Here’s an article from the Connecticut Department of Energy & Environmental Protection that talks about best practices to follow when taking your dog out for a hike. Given that close to 30% of households in Connecticut are dog owners you ask an important question about the proper disposal of pet waste. Decomposition is nature’s way of recycling organic material into a rich soil amendment and it is reasonable to wonder if dog waste could be safely left to decompose in the woods. A past issue of P2 View described the environmental problems that can result from dog poop left on the ground where it gets carried by storm water run-off and pollutes our lakes, ponds and streams before it can ever decompose. Unfortunately, putting the poop in a biodegradable bag does not prevent it from harming the environment. Wildlife may view bagged poop as a food source, and possibly choke or otherwise clog their digestive systems on the plastic, resulting in death. Even if a bag is correctly labelled as biodegradable, it can take up to one year to break down by natural means, e.g., microorganisms, air, water, sunlight according to the Federal Trade Commission’s definition. While chicken, cow and horse manure can all be used as fertilizer, dog excrement is fundamentally different than that of other animals. Since dogs are omnivores, their feces contain harmful bacteria as well as parasites. To kill the almost 8 billion bacteria and parasites in pet waste requires a constant temperature of 165 degrees Fahrenheit for at least 5 days, a basically impossible achievement in home composting situations. Leaving a biodegradable bag filled with dog poop in a forest, park or woods would not kill the harmful organisms either. So bagged or unbagged, dog doo-doo doesn’t belong in the woods or on the beach or in our parks or yards. Leaving it allows pathogens to pollute ground and surface water and could result in beach closures. Pet waste has been shown to be a significant source of nitrogen in many streams, ponds, and larger water bodies, contributing to eutrophication. An environmentally sound way to pick up the poop is with a used plastic bag (like one from a store or the newspaper. If you don’t have any, ask your friends for theirs). Then place the bag in a garbage can where it will end up being burned at one of Connecticut’s trash-to-energy plants. Reprinted from P2 View, a newsletter published by the Connecticut Department of Energy & Environmental Protection, Office of Pollution Prevention. For a free subscription, go to www.ct.gov/dep/p2view or call 860-424-3694.